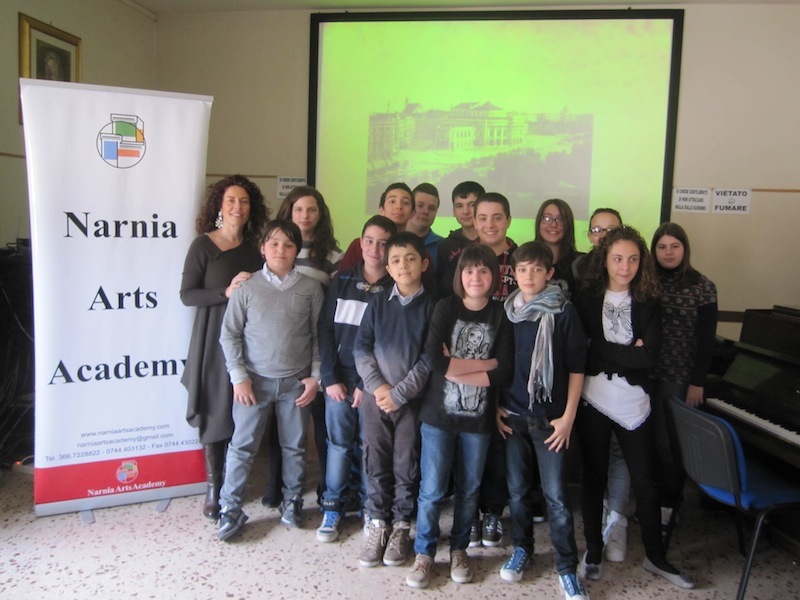 Narnia Arts Academy conducts enrichment programs for all levels of education, from elementary to high schools. The various projects take place within the schools and include active participation aimed at increasing understanding and appreciation of music. The enrichment programs are offered during the winter months, generally from February to May. Music education program for children. Designed, edited and produced by Cristiana Pegoraro.Bringing children closer to classical music is one of Narnia Arts Academy’s priorities, not only because music contributes significantly to their cognitive development as demonstrated by decades of studies, but also because it is a fundamental yet neglected part of our culture. The aim of this initiative is to make the world and language of classical music natural to children, and to introduce them to the great composers and their most famous compositions. It is about laying down the tracks to spark curiosity and sensitivity from which the young will gain advantage as they grow up. “The Game of Music” was conceived for this purpose. Using a fun language accessible to children, the program explains classical music, its secrets, its magic, its ability to describe places and emotions. 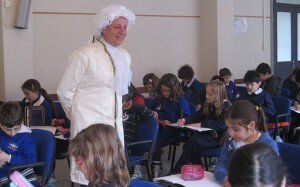 Part of the formula consists of actively involving children in games, interacting with actors impersonating the great composers of the past, and listening to live performances of classical masterpieces by Cristiana Pegoraro on the piano while using colors to draw the contrasting emotions suggested by music. The notes of Bach, Mozart, Beethoven and Chopin become an educational journey, a creative and exciting way to learn and appreciate, from an early age, the beauty and importance of classical music. An important characteristic of Cristiana Pegoraro’s performances is her personal approach that is quite innovative in piano recitals: a way to interact with the listener by describing the life of the composers, explaining the pieces, emphasizing the innovations and stylistic differences of each composition. Through her eloquence, the rapport with the audience comes alive in an environment of unusual anticipation and participation. This series proposed by Cristiana Pegoraro represents a valuable opportunity to listen to an exciting repertoire in a new guise. Cristiana Pegoraro brings her deep passion and enthusiasm for classical music to an intimate classroom setting that combines concert-worthy performances with discussion of greater music themes. Over the course of various engaging sessions, Cristiana pairs live piano with stimulating discussion and a hint of gossip of each composer’s life and impact and the relationships which connects them. This will make the cycle more dynamic and comprehensible, and will be an incentive for young people to deepen their knowledge of the greatest composers in the history of music. Mozart&Salieri, Chopin&Liszt, Brahms&Wagner: Friends or Enemies? An original, stimulating and fun new project for young people. 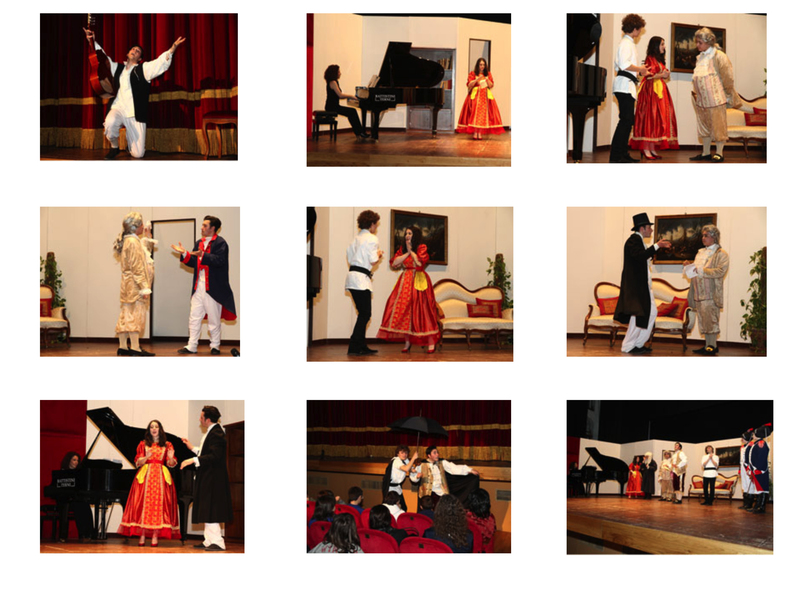 Narnia Arts Academy is proud to present a project of absolute originality, designed to promote Italy’s most distinctive musical tradition, the opera, to young people. Convinced of the importance of developing sensitivity and taste in music from childhood, and conscious of the need for a simple and fun approach that sets a real introduction to music for children of elementary school and middle school, Narnia Arts Academy proposes a project that provides a “fairy tale format” of the famous opera The Barber of Seville by Rossini. The project is conceived and directed by pianist and composer Cristiana Pegoraro. The end result will be a theatrical representation based on the opera’s original libretto. Professional actors will interpret the main characters in a narrative alternating with the main arias transcribed for piano. Classical music, an expression of the deepest feelings and voices of various historical periods, for centuries has accompanied the life of man. Discovering and understanding it means to be able to appreciate it. Appreciating it helps develop a healthy enrichment of our sensitive sphere. 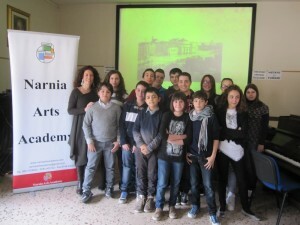 Narnia Arts Academy believes that there is great need to rediscover and deepen the true cultural values. That is why she chose to use an innovative approach to classical music, which is necessary to involve a wider audience and especially to encourage young people to get close to a heritage that should not intimidate, but, on the contrary, has the power to harmonize the inner growth of any human being. That is why “Classical Music in Jeans” was born. With the innovative proposal of “Classical Music in Jeans”, internationally acclaimed pianist Cristiana Pegoraro will guide participants in understanding the language and forms of classical music. Objective: to gain the indispensable knowledge to thoroughly enjoy the classical repertoire. Student participation will make the learning process enjoyable and inspiring. Further, the live performances of pieces will be followed by discussions, which will favor an instinctive approach and an immediate opportunity to test the acquired competencies. The participants will be able to gain more sensibility and consolidate their comprehension of the structure of the language of classical music, which is necessary to fully enjoy this immense and underappreciated repertoire.